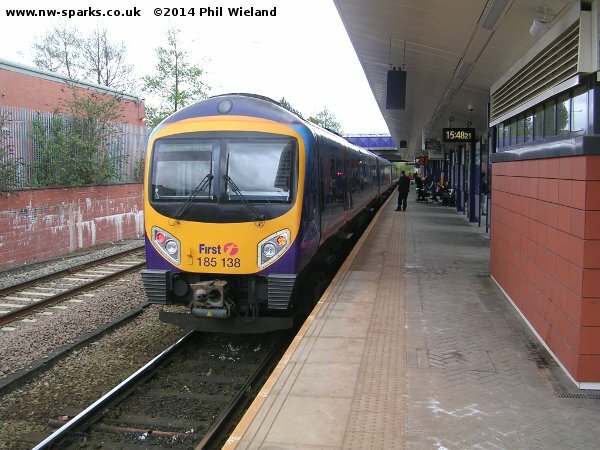 Trains on this route originate from both sides of Manchester's rail system. 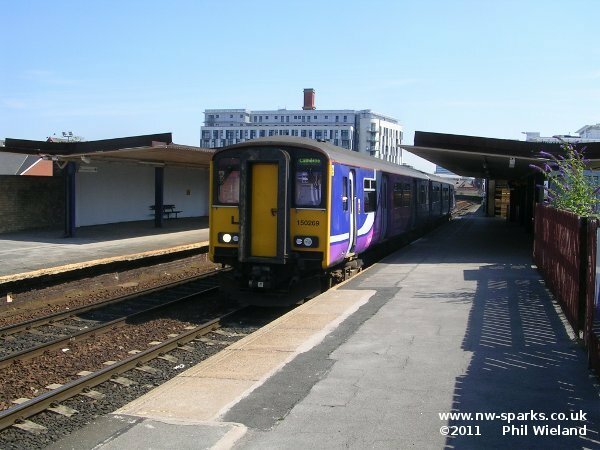 More details of the Manchester area can be found on the Liverpool to Manchester page. 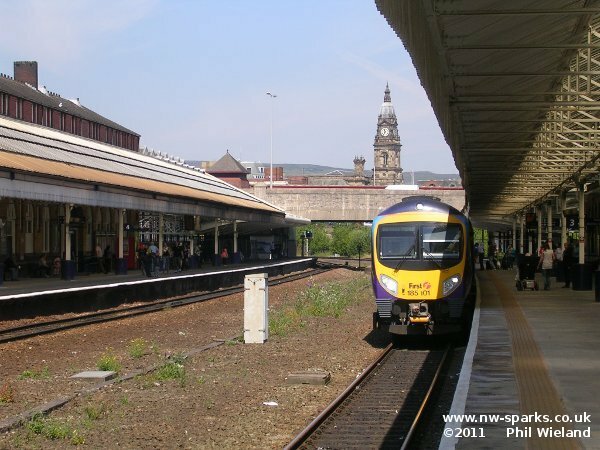 Trains from Victoria to Bolton and beyond pass through this small station located on a viaduct. 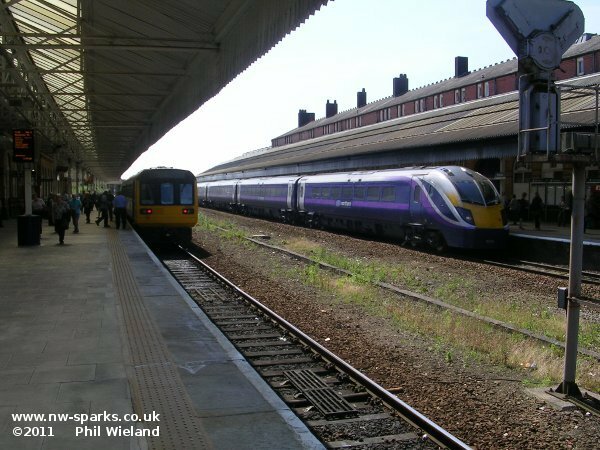 The Liverpool lines which currently avoid the station will be diverted into the disused platforms 3 and 4, and an additional fifth line will be added, for trains bound for the Ordsall Chord. 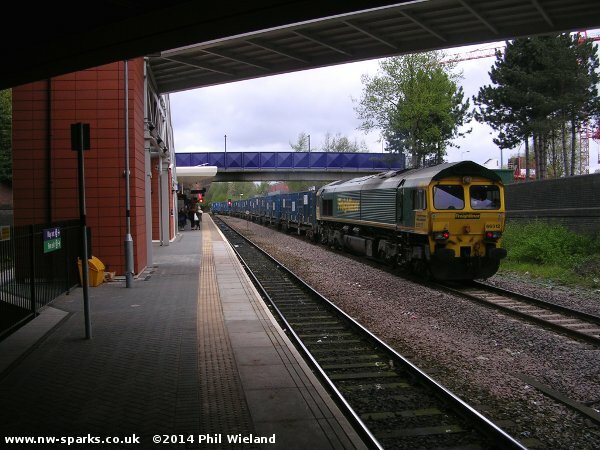 Just before Salford Crescent the routes from Piccadilly and Victoria join, at Windsor Bridge South Junction. 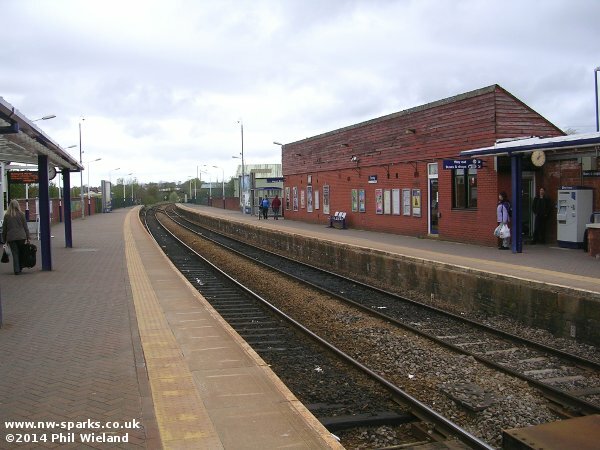 The connection from Ordsall Lane Junction used by the Piccadilly trains was only opened in 1988, about the same time as the station here. 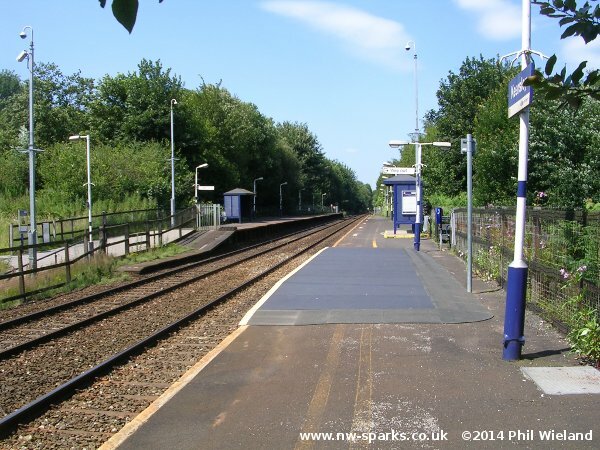 The small station with its narrow platform suffers from overcrowding at busy times, although a recent refurbishment has de-cluttered the platform and improved matters somewhat. 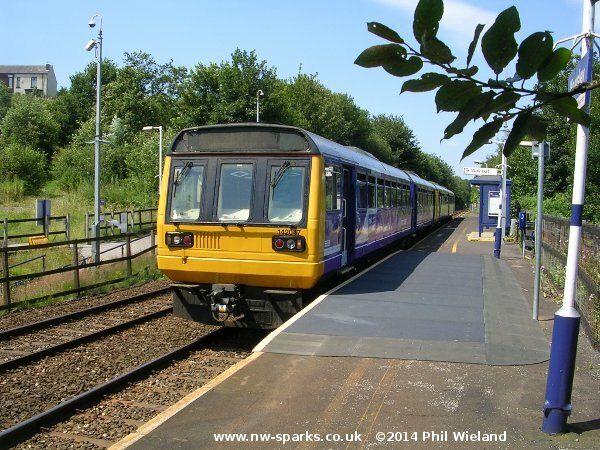 Just to the north the line to Wigan via Atherton leaves to the left. 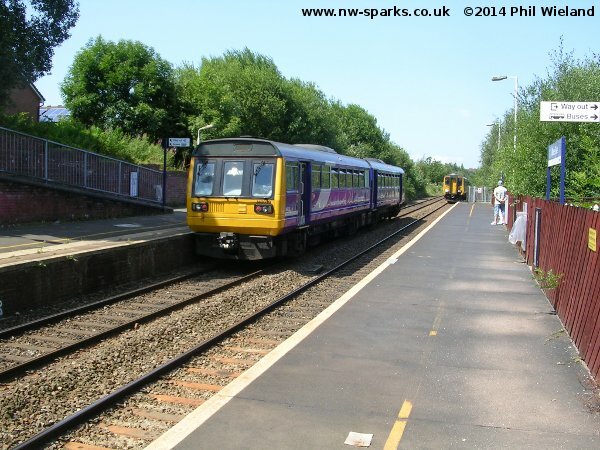 This route is not included in the current electrification plans. 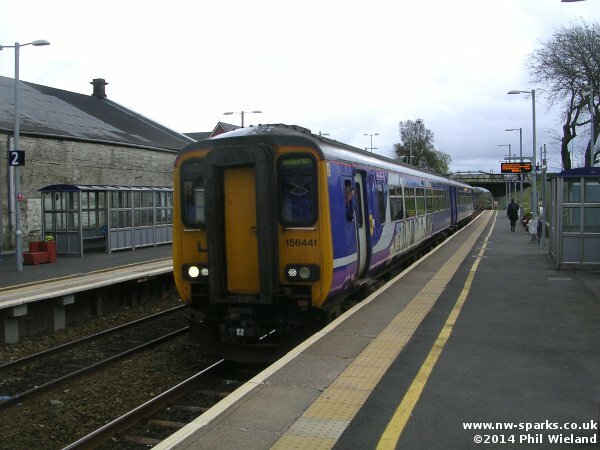 With only one train each way per day, I wonder how long this station will survive. A minimal station with no buildings. Not strictly relevant to the current project, but the nearby Kearsley Power Station featured overhead electrification on its internal railway. The power station and the railway have gone and the land has been built on. 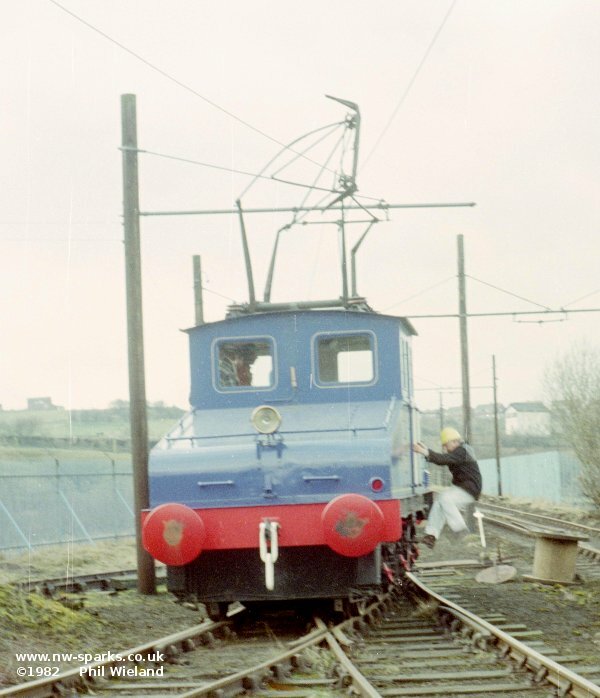 I was lucky enough to pay a visit in 1982 shortly before closure for a ride on the railway, although unfortunately Kearsley No.1 broke its pantograph just as I arrived so I didn't get a ride on this loco which is now preserved in Coventry. 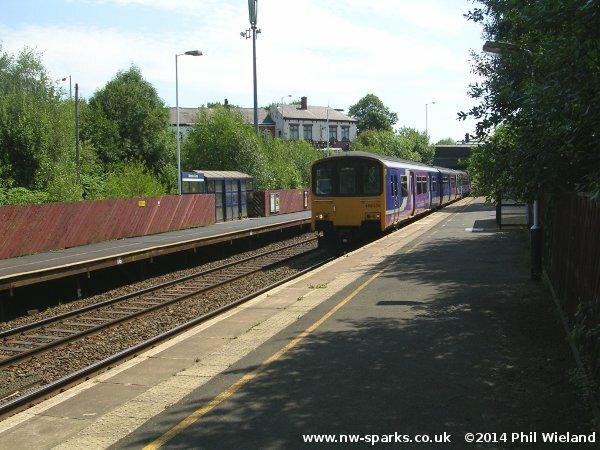 Immediately south of Farnworth station are Farnworth tunnels. 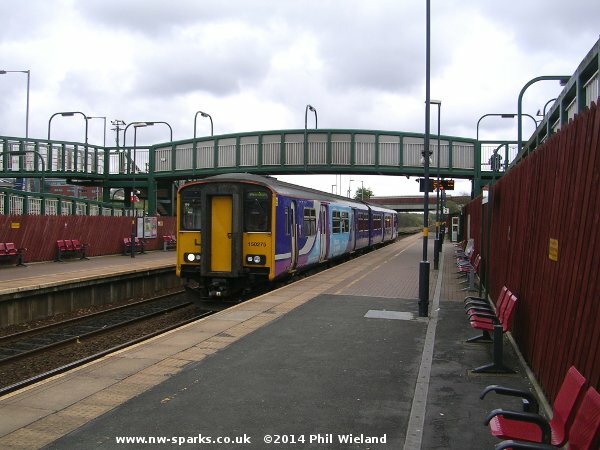 These require major works for electrification, taking place during summer 2015. 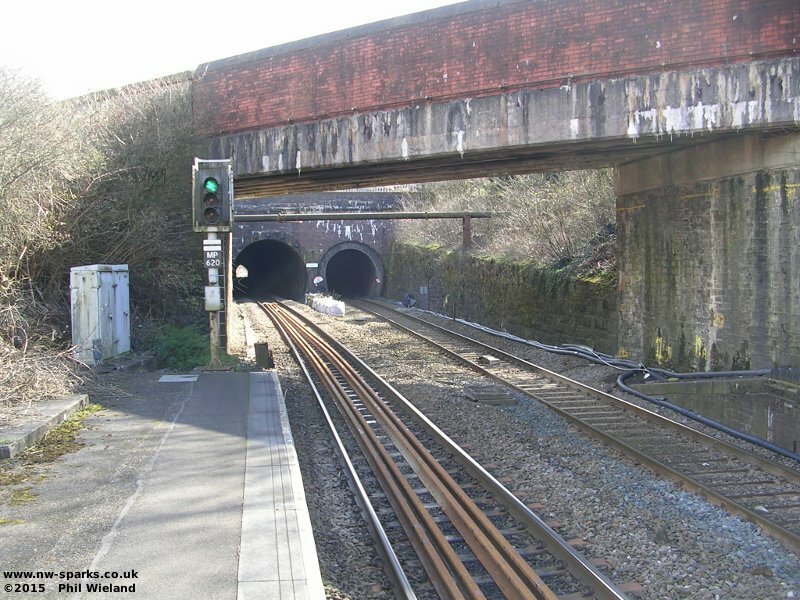 At the end of the works the smaller tunnel will be redundant and the larger one will have been enlarged to accommodate two electrified tracks. 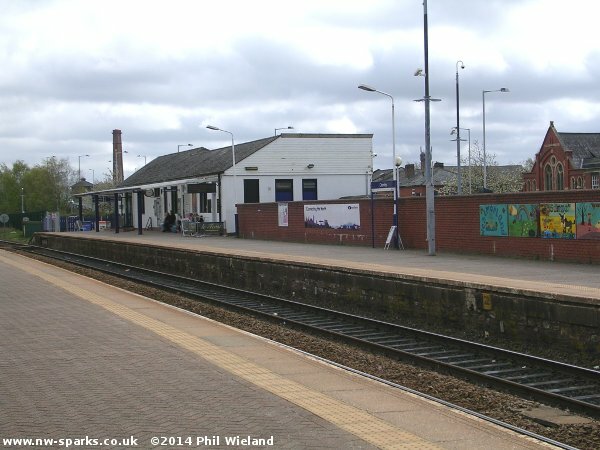 The station itself is fairly plain, with a small station building at the top of the ramp to the Bolton-bound platform. The shot below is taken looking north from the south end of the station. 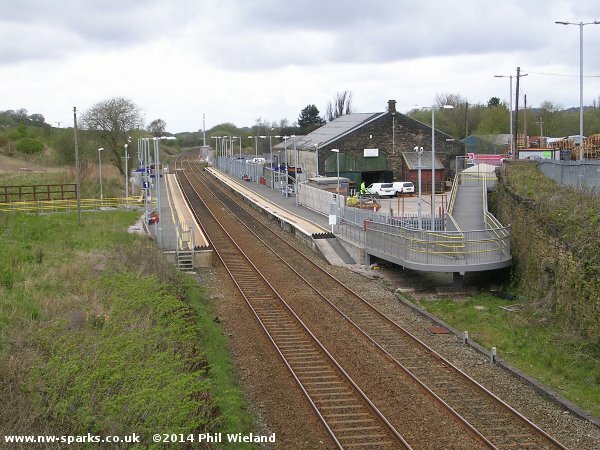 The left hand Bolton-bound platform will have to extended outwards when that line is slewed into the larger tunnel. 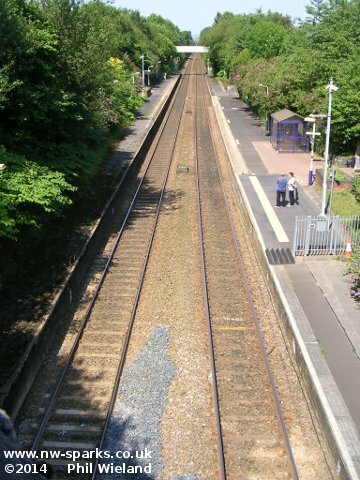 A plain minimal station, with large amounts of greenery growing each side of the line. On my July visit I saw a dragonfly. This relatively new station was opened in 1999. 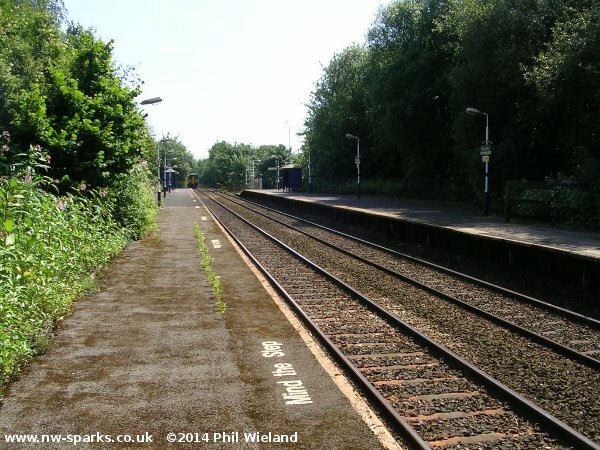 This station was for many years the junction for the Horwich branch which after passenger closure was retained for access to Horwich Works. 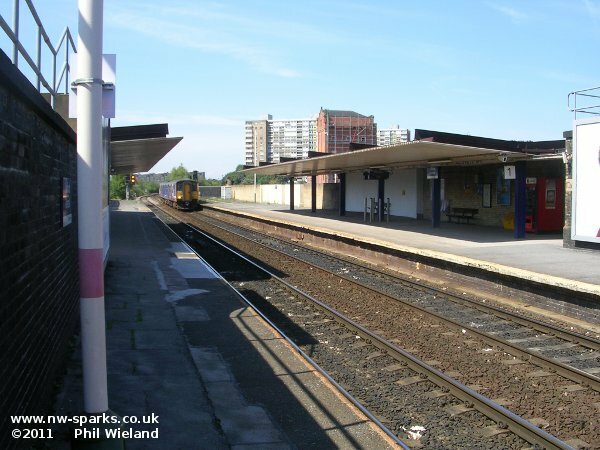 I seem to recall that in the early 80s the branch platorm here was still intact, though disused. Nowadays there's very little in the way of facilities, although I can recommend the adjacent Rivington pub! 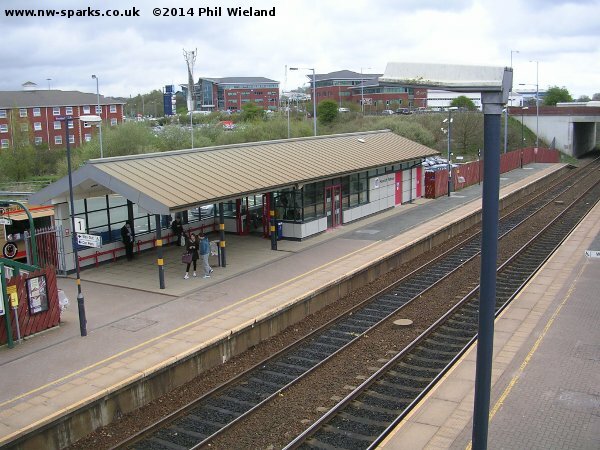 This is a 1980s station built on the site of the original. 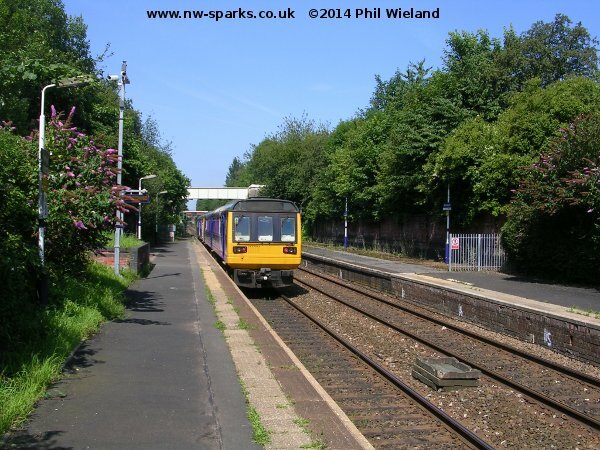 At Euxton Junction we join the electrified West Coast Main Line.